This unique mix includes five varieties of plain and fringed black and white flowers. Poppy seeds need light to germinate and do best when seeded in cool soils. Direct seed in early spring: broadcast and rake in. 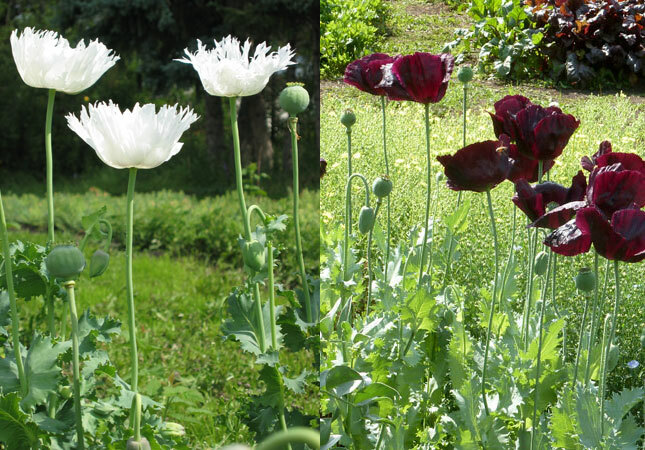 Poppies prefer full sun and rich soil. Bees love the beautiful flowers. Edible seeds are abundant in dry pods. Poppies self sow quite freely. Remove pods to prevent self seeding. Fresh and dried pods are lovely in flower arrangements.